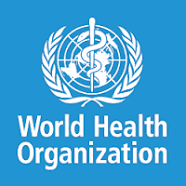 The World Health Organisation has removed Nigeria from the list of polio endemic countries. The Regional Director of W.H.O, Dr Matshidiso Moeti, who is in Nigeria, broke the news to President Muhammadu Buhari at the State House in Abuja on Monday. He urged the Nigerian government to sustain the efforts ahead of the 2017 target when Nigeria is expected to be declared polio-free. Dr Moeti, who had been earlier received by the Permanent Secretary, Ministry of Health, Linus Awute, along with the W.H.O delegation, also warned against complacency already displayed in some states in their efforts toward eradicating polio and other communicable diseases. President Muhamadu Buhari expressed his satisfaction on the current polio status and vowed to maintain the status in order to meet up with the 2017 target. Nigeria has successfully interrupted polio transmission in the last 14 months. If the records are sustained till 2017, Nigeria will be completely certified as a polio-free country. Three years without cases are required before a country can be declared polio-free. The de-listing of Nigeria means that there are just two endemic countries – Pakistan and Afghanistan – where transmission of the paralysing virus has never been interrupted. Polio is spread by poor sanitation and contaminated water which usually affects children. The virus attacks the nervous system and can cause irreversible paralysis – usually of the legs – within hours. In September when the news of Nigeria’s de-listing broke, President Buhari called for continued vigilance to ensure that Nigeria maintains this new status. He directed all government Ministries, Departments and Agencies involved in the Polio eradication effort, to remain proactively engaged and on guard against the re-emergence of the virus in Nigeria. He assured the WHO and the global community that the Federal Government would ensure that immunisation and surveillance activities continue across Nigeria, to keep the country Polio-free.